Chris: Working, working, and more working. 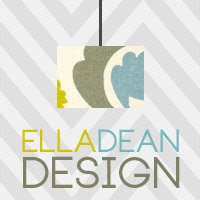 He is enjoying his job though, and is helping me a lot with my new business... Ella Dean Design. He has also been helping his parents in Casey County with some remodeling of their home. He enjoys the work, and gets to have quality time with the boys and his parents and aunt Connie. Jacob: Things have been great for Jacob this last month. He graduated early from high school. Actually he is finishing up this week. He won't walk at graduation until May 2013, but he won't have to go back to school. He has a full time job now with 84 Lumber. He loves his job and his boss has bragged on him since he started on what a hard worker he is!! God is Good, all the time! Thank God for getting to start over, repentance, and unconditional love. Jonah: Oh, Middle school...Yuck! I have said it before and I will say it again.... Middle school takes your sweet little lamp and can make the act like a wolf. Jonah isn't quite acting that bad, but this is time in his life when he just seems to think that I don't know anything and he knows everything. He goes from happy to mad fast, and girls are coming around more frequently! Double YUCK!! I liked it when he said I was his girlfriend (that may sound weird, but it wasn't, he just loved me the most!). Jonah has always been a huge moma's boy, and he has cut the umbilical cord.... with an AX! Jonny: He just turned 11, and in true Jonny fashion, he wanted a toy with wheels. He got a new scooter and a skateboard! And in true Jonny fashion, the scooter is already broken! He also picked out a art set with money that he received from grandparents. He loves to paint and draw. He is so good at it!! He is such a neat child! I quit my job at Madison Pediatrics! I know that this is a huge surprise to most of you. It still feels like it just happened yesterday and I quit September 17. I haven't talked about it much, because I still miss it. I find it hard to talk to anyone that still works there because it makes me sad! ( so, if anyone from MPA is reading this... that is why I haven't called or answered calls. I did have several reasons for leaving, and I know that I made the right decision for me and my family. 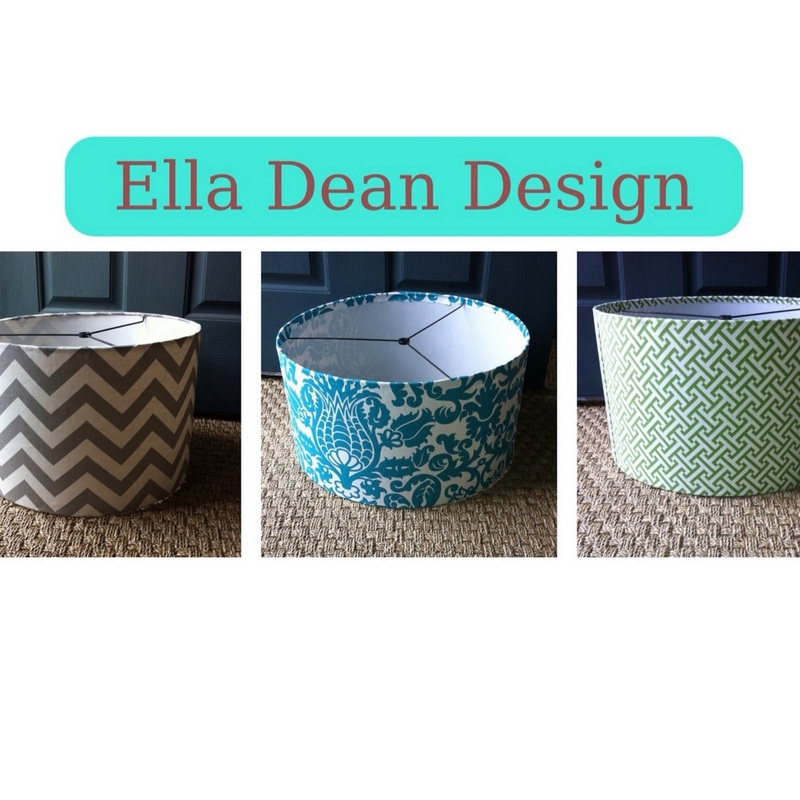 My business (Ella Dean Design) has been doing great! I have had over a 100 orders on the Etsy store alone, and I have recently opened two more stores on Etsy. I feel very blessed to have this business in my life right now!! My Grandmother had a stroke a month ago, and has been in a local rehabilitation Center. She is literally the strongest person that I know!! She has worked hard every day to be able to get strength back in her left side, to be able to swallow, talk and walk. She is so strong, and such a role model to me! I honestly hope that I live a life of dignity, strength and determination that my grandmother continues to live!! I have enrolled at EKU to start back to college to get a second degree. I will start January 2013. I am looking forward to being able to work my schedule around my kids, and my business. My grandmother always said that in life that people can take a lot from you, but they can't take your faith or your knowledge. She is so right! I will try to let everyone know what is going on with us more often, or at least not hold out on my information. Thank you for reading, and make sure that you give me some feedback!! Chris - He is still filling in at different churches as needed, he just preached this past Sunday. He also turned 39 this past Sunday. Chris is working very hard at work and usually puts in 10 hour days, the office that he works for in Lexington has had a record year. I believe that he had a big part in that. He has also been very dedicated to the boys, and has not missed a football game all season. He also volunteers to help at the games from the concession stand, working the chains, and washing cars for their fundraiser. The boys love that he is such a dedicated part of everything that they do. Jonah - He is now in the 7th grade, and still going through the normal growing pains of a pre-teen. He is taking a couple of classes that he really seems to be enjoying, one being Pre-Algebra (he is a math wiz! ), and the other is a Careers course. He has decided that he wants to be either a Physical Therapist or an Athletic Trainer when he grows up. He is playing his second year for the middle school football team, and the team is getting ready to go in to the play offs and with only one loss this season, I think they will win it all! Go Braves!! I love football Season another great part of fall. Jonathan - He is now in the 5th grade, his last year of elementary school!! He is playing for the middle school football team this year!! Jonah's Middle School did not have many 6th graders come out to play for the team, and since Jonny wanted to play they let him move up to the middle school 6th grade team. He has strutted around the whole season. He is the only 5th grader wearing a middle school jersey on game day to school, and he puffs out his chest every time he puts it on. I love it, he is so cute! He gets a lot of playing time, and he is such a good player. Jacob - I usually write about Jacob second in my blog posts, but I decided to put him after his brothers, because he has had many ups and downs in the last few months. Some "ups" are that he turned 18 in August and that was exciting for him, and he started his Senior year the same week as his birthday. Then he had some "downs", and he made some real mistakes, and faced some very real consequences for his mistakes. I know that I am being vague, but for those of you that don't know what has transpired, just know that he is doing better, but he still needs prayers. I do want to finish writing about Jacob with some more "ups".... He will be finishing up his high school credits at the end of this month, and will not have to attend school anymore until the end of the school year. He will walk with his class at graduation May 2013! He got a full time job at 84 lumber and he starts next Monday. He is very excited about it. I just know that 2012 will end on the upswing for Jacob. 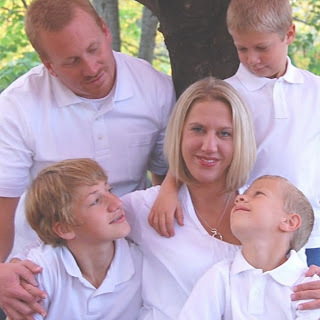 Bethany (ME) - As a wife and a mother I have felt every emotion, every up and every down of every person in my family. I will end today's post with that said! Don't you love summer time? We do! With every summer we see God's grace, and his artwork in the growth of the trees, flowers, grass.... Children! These boys in the Buck house are literally eating me out of house and home. They are all getting so big and are doing so many exciting things that I don't know if I can put it in a single posting on this blog, but I'll try. With tradition of my blog's, I will start with the Head of our household and then go from Oldest child to youngest child, and then myself. Chris........ He just preformed a wedding this past week for a long time friend, and he really enjoyed that. He is still working hard for Holston Gases and is putting in long days, but enjoys his work and the people that he works with. He hasn't preached a service at church for awhile, and I know that he misses that. He has spent a lot of quality time with the boys this summer. He really enjoys watching them have fun and do things they are passionate about. I tell him all the time that it is like he has three best buds! Chris has also been taking on more jobs with our lamp shade business. He is doing all of the shipping, maintaining all of our inventory sheets (that he has set up in excel), and spray painting all of the rings for our custom lamp shade orders. I have been telling him that he should also be writing this blog every once and awhile, so you won't have to only read my point of view on everything, but he is just so busy..... So, it is me writing this for now! Jacob....... I ask him almost everyday if he has grown in his sleep. He looks like a grown man, and he is still growing. He eats all day... not 3 or 4 meals a day, but all day. He just finished his 2 week long trip to Florida where he stayed with his grandparents (Busson's), and they went to Disney World, fishing, golfing and he got to drive DaDa's (my mother) BMW (one of the highlights of the whole trip for him?!). He also got to visit, for a couple of days, with another set of grandparents (Pardue's), and with his Uncle's, Aunt's and cousins (Adam and Aulia's family & Steve and Janell's family). He had a great time with them as well even though the weather was bad, and the visit was too short. He would have liked to stay longer in Florida than for 2 weeks, but this momma bird likes all of her birdies in their nest!! Jacob is also getting ready to turn 18 (August 10th) and he will be starting his Senior year in high school the very next week. We are getting things together for Senior pictures, ACT exams, future planning..........Well, I guess I should say that I am the one that is trying to organize and get all of this stuff together. Jacob has a different career plan every week. Oh, to be young with very little worries! He is looking for a job right now, but I am using him as my nanny and taxi driver right now, and I really like that! Seriously, pray that Jacob gets some type of direction in his life that will lead him into a path of growth, fulfilment and happiness. Jonah....... He has some serious growing pains (that are more painful on his parents!!). These middle school years.. when they are beginning to go through puberty are some of the hardest years to go through. I personally wouldn't want to go through those years again, and trying to parent him with understanding, grace, patience and love, can be ddifficult! But we do love him! With that said....Jonah is still one of the most caring kids I have ever been around. He feels others emotions and pains with a type of empathy that I have never seen a person so young be able to feel. He has just returned from Church Camp, and he had a blast. He loves all things God, and outdoors, and he got such a blessing from being there. He is getting ready to start a new football season with his middle school football team. He is one of the smallest on the team, but is known to take down a some of the largest middle school football players! While I am in the stands yelling "make him cry for his momma!" I know that is not nice, but football is not nice....man-up :) !! Jonny......... Summer time is Jonny's favorite time of the year! He is out of school and he plays outside all day. He has had fun this summer visiting his grandparents (Mings), and he has spent almost 3 weeks this summer with his Uncle Carson (Carson is younger than Jonny by 7 months). They have had a lot of fun together. Jonny is such a happy child, and even when no one else is smiling... Jonny is smiling. He makes me laugh out loud sometimes when I just look at him. He loves to play his guitar and to sing, and I love to listen! He has had fun being a kid this summer!! When you have singleness of purpose you’ve got a sense of urgency – When you have got point of accountability, and you’ve got commitment, nothing can stand in your way! Commitment is when you’ve inspired yourself into the brotherhood, the sisterhood of the unashamed – when you posses that spirit and desire - when your dye’s been cast – When you’ve chosen to step up over the line and stand up and be counted and become a disciple of the determined. When you won’t look back, let up, slow down, back away or be still. When your past has been redeemed – when your presence makes sense – when your future is secure – when your finished and done with low living, light walking, small planning, smooth knees, dull dreams, tamed visions, mudane talking, cheap giving and dwarfed goals. When you live by faith, and when you lean on God – When you are lifted by prayer and labored by love. When your direction is set - When you walk with confidence, your gait is fast, your goal is real, your road is rough, your way is narrow, your companions are few, but your guide is reliable and your mission is clear – when you cannot be bought, compromised or detoured, lured away or delayed – when you will not flinch in the face of sacrifice – you will not pause in the presence of procrastination when you refuse to negotiate the label of fear, ponder at the pool of popularity or meander in the maze of mediocrity – when you won’t give up, let up or shut up until you have saved up, stored up, prayed up, paid up and became the person that God intended you to be. What you think about you bring about – when your committed that’s when you’ll stand out from all the rest. When your performance precedes your procrastination – when your desire dominates your doubts- when your purpose in life is greater than your problems – That’s when you’ll have commitment and that’s when you’ll be bountifully blessed. Hello, Sorry it has been so long!! Chris.... He has been preaching at a few different Churches in the last few months. He really loves preaching again. He has been super busy at Holston Gases. He was given a promotion this year, and he very much deserved one. He has been working very hard on getting a new warhouse that the company purchased ready for them to work in. He is working hard, and loves his job. Jacob... He is finishing up his junior year. It is so hard to believe that his last year of high school is upon us. It just seems like yesterday that I was crying while dropping him off on his first day of Kindergarden. He did get his drivers licence a few months ago. And I will have to admit that he is a very good driver. Jonah... He received an award for receiving a very high scores on his end of the school year testing. He is finishing up his first year in band, and has really enjoyed playing the trumpet. He fractured his ankle in February and was out of sports for two months, and did not get to tryout for the baseball team. It was a very hard time for him, but at least he had band. He is looking forward to football already because that is the next sport that he plays to begin. Jonny... He received an award for receiving very high scores on his end of the school year testing. He had a very good basketball season this year!! He loves it. He practices shooting every morning in the driveway while waiting for the bus. We are in hopes of him playing for U.K. Wildcats one day!!!!! Jonny also participated in his first Karate tournament and placed first in one division and second in another division. He is too cute in his uniform!! Thank you for taking some time out of your day to read a little update of our family. I will try to keep you updated!! These drum shades will be up for sale in my store starting 3-3-12! I have been making drum / barrel lamp shades. I started making these shades after obsessing about them for over a year and seeing them in every magazine I saw! But have you seen the price of those "company" made shades.... Too much $$$! I then decided that I was going to investigate how to make them and use the highest quality products for the cheapest price. After many duds (that is an understatement) I got it down!! I Am having so much fun making them and I am going to start selling them on eBay and etsy! Take a look and let me know what you think!! Today Chris and I are celebrating our 18th year of being Married. An d for those who don't know, we only dated for three months before getting married. I don't recommend anyone to have that short of a courtship, but we are a success story. We work hard at our marriage and are proud to say that we are looking forward to the next 18 years. Love being in Love! Chris has been very busy at work. They have hired someone new in the office, and between training him and doing his own job he has been very busy. He will also be Preaching at The New Testament Baptist Church in Casey Co. this coming weekend, 1-15-12 and again on 1-29-12. He is very much looking forward to it. Me (Bethany), I have gotten back into the swing of things at work. And for those who don't know, I also work as a breast feeding consultant in the Pediatric office that I work in. This part of my job is my favorite!! I love helping women feed their babies. I have started a blog this week that is in response to the need for advise on breastfeeding. This way I can go over suggestions, supplies, schedules, in this blog and just advise some of my "mommies" that may need more help than my time will allow in the office. Very excited about getting up and going, but It is still a work in progress! Jacob is going to a Snow Ball dance this coming Saturday with a "friend...just a friend"? Anyway he is going with me shopping this weekend for a new suite for this dance....wish us luck. He has also set up new goals for the new semester at school. How exciting it is to be able to start over! New year, new semester, great time to start over. He is really excited about it. It is titles Sport Center Jr. and it is his take on sports that he watches. For anyone who knows Jonah this is right up his alley! He is a huge sports fan and gets extremely involved in every sport that he watches or is in. Jonah really enjoys writing it, and we all love his take on it all! Jonny received his yellow belt in Karate right before Christmas. He started Karate in August and he takes lessons everyday after school, and he loves it. We as his parents also love it because he can ride the bus to Elite Marshall Arts everyday after school, and be able to have a karate lesson vs. going to a daycare in the afternoon. The fee is minimal and he loves learning more about this art form. We love knowing that he is in a safe place being watched my adults, and he is able to get out energy, learn an art form, and of course the discipline and respect that comes with it. Highly recommend this place!! Well, today is my day off of work, and I need to get to my other jobs. Bye for now. We are a family that has a lot of excitement and fun stories to share. Follow this blog and learn more.